Filler strip, sash channel - 1/16" thick. For all applications fitting glass to sash channel. Check your old filler strip to find thickness needed. 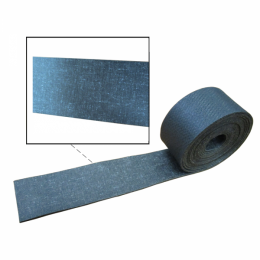 This is the highest quality linen back, rubber cork composition for a professional job on swingout windshields, door vent windows & convertible side windows having metal frames as well as many side or door windows on closed bodies. Free samples are available. Sold by the foot. MADE IN THE USA.